Weaving, pottery, thangka painting, sculpting and leatherwork are some of the arts and crafts made in Tibet. 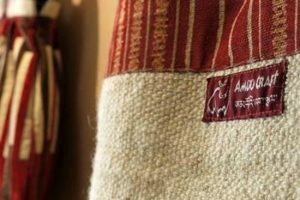 Each part of Tibet has its own style, materials and traditions. 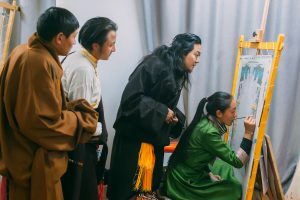 From nomads weaving yak wool carpets, villagers making tsampa bowls to high lamas painting sacred Buddhist paintings, arts and crafts are an important part of Tibetan culture. 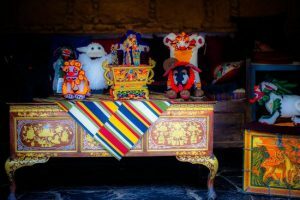 Visit to Shon Denpa Tibetan traditional handicraft school see and learn the extraordinary array of authentic Tibetan traditional and contemporary works of crafts and arts, like Tibetan traditional Thangka painting, fabrication of Buddhist statues, pottery wares and Tibetan calligraphy etc.